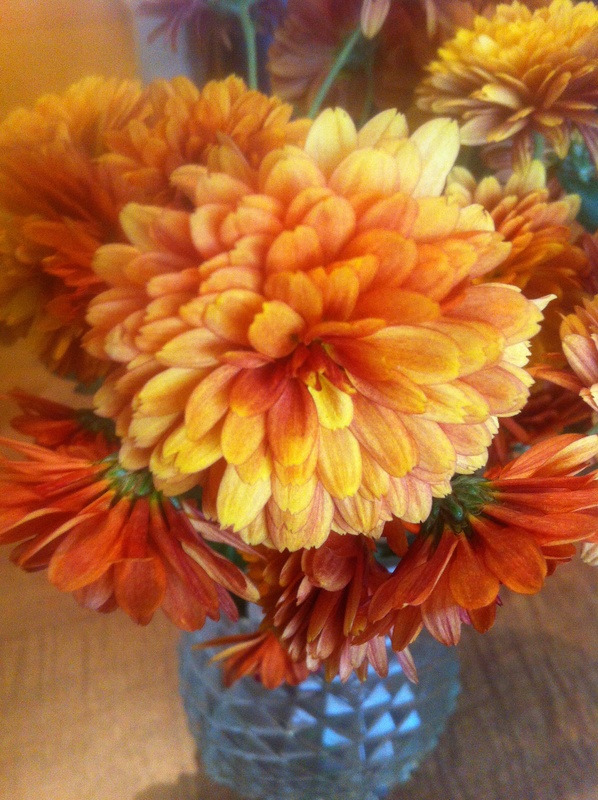 Autumn Mums © Copyright, Audrey Goshorn 2014 All rights reserved. Used with permission. 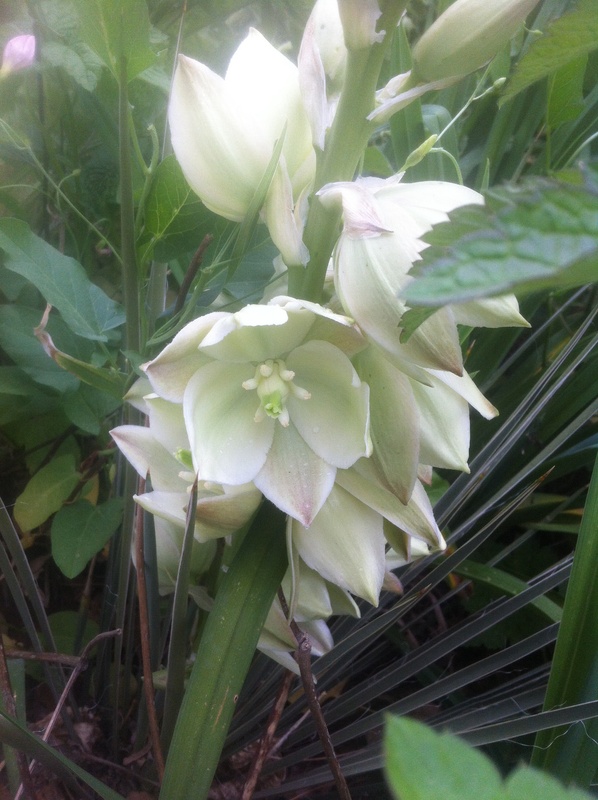 Just some lovely flowers from my garden (aka the only things I haven’t killed yet). Hello again. I hope you are having a lovely fall full of crunchy leaves, crisp air, and pumpkin filled treats. As you may remember from last year, I am a huge fan of NaNoWriMo (I usually fail but I love the challenge and camaraderie) so I am busy preparing which has left very little time for reading fiction. I have been researching which may *gasp* even lead to an outline… maybe. So most of the books I’ve read the past couple of weeks are about Ancient Egypt and the people unearthing Her secrets and I wish I had a stand out awesome book to share with you, but I don’t. At least not yet. Hopefully, I will have one by November. Or if you have a favorite book about Egypt, I would love some recommendations. 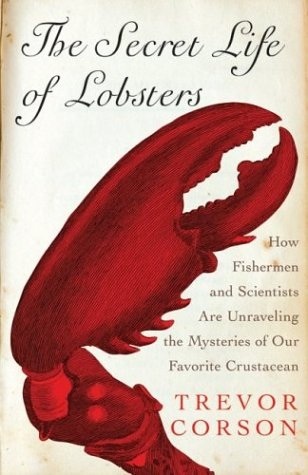 But since I’m in a non-fiction phase at the moment, I will share my favorite non-fiction book with you: The Secret Life of Lobsters by Trevor Corson. He seamlessly blends the tales of the lobsters, the biologists who study them, and the lobster fisherman into a truly engaging read. I loved it. Ok, my NaNo stuff is calling me. Ta! 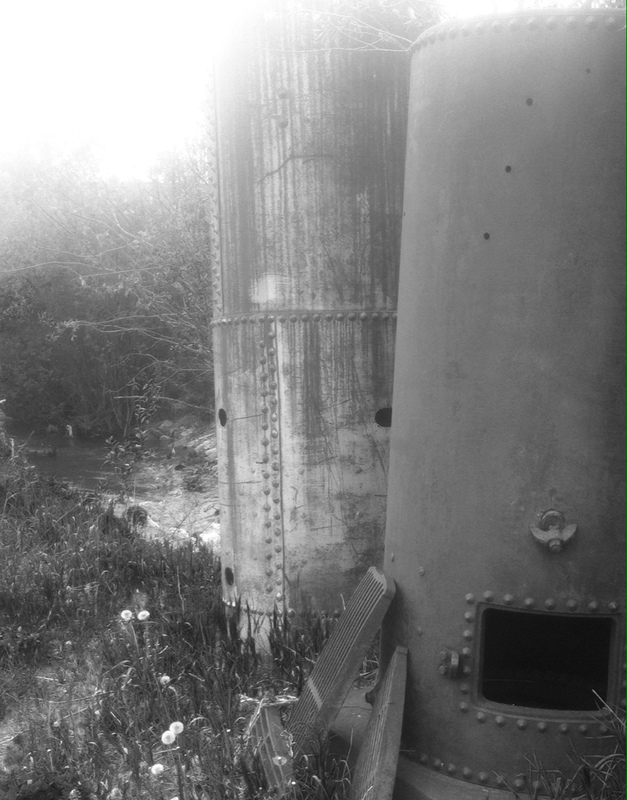 Rusting © Copyright, Audrey Goshorn 2014. All rights reserved. Used with permission. I walk off a couple yards, kicking rocks as I go. I like how they sound bouncing off the rusting metal of the old scrap yard. Howie and I found this place a couple years back, before he left for the mining colony. The sky is an impenetrable brown haze. I can’t tell where the sun is, but the info screen in my helmet says Noah and I have ten minutes before we need to high-tail it home for dinner. There’s all sorts of things in the scrap yard. Some I recognize from school like cars and refrigerators, others I just guess at. It was a game Howie and I used to play. I’d laugh and ask what it did. He always knew. I hug myself as best as one can in a ground suit. It didn’t help. If I could see the stars, I still wouldn’t be able to find the rock Dad shipped Howie to. At the time I was grateful for Howie to have a job. I thought it meant we would have a life together. A whistle reverberates through the yard, echoing against the walls of metal. 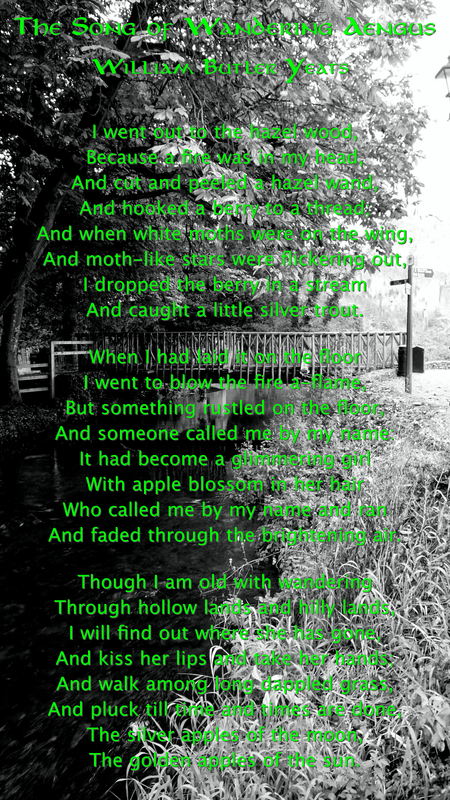 I turn around but I’ve wandered far in the yard. My feet send clouds of dust pillowing into the air as I push myself as fast as I can. The whistle sounds again, closer. I skid to a halt before I run into a large metal cylinder. I’ve turned the wrong way. “Noah!” I scream, but the whistle drowns out my voice. I was so torn this week about whether I wanted to do my Book Club post about a specific book or do another Top 10 List (I was leaning towards my Top 10 Books for Preschoolers) and then I picked-up The Hoarders by Jean Stringham and I knew I had to share this book with you. 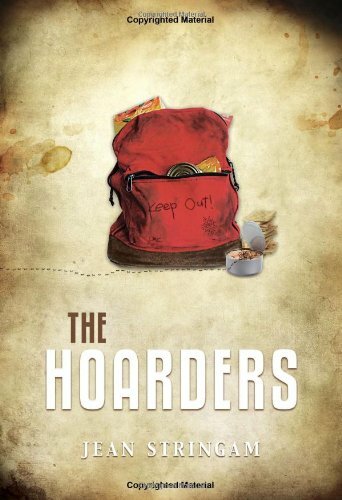 The Hoarders is the story of two young boys who do not have a stable home life. It is told from the viewpoint of Cheyenne, the older brother, as he explains all the details leading up to their current predicament. I loved how up close and personal the reader feels to Cheyenne and his family. I’m sure many of us remember being talked over as a child and it’s no different for Cheyenne; he experiences situations where adults are deciding his life without his input and often failing him as caretakers. What helps Cheyenne deal with these difficult situations with an amazing resiliency is that he is a great observer of adults. He learns to control what he can like keeping a hoard of food hidden in his backpack at all times. The story is often heart-breaking, but not only does it teach us as adults (or young adults) the importance of how our actions affect the young people in our lives, it teaches us about what is really important and how blessed many of us are. I hope you will pick this book up and give it a read. Stay tuned for Jen’s No Rules Friday next week. Please let me know what you think or if there are any other MG books on your top ten list!